When it comes to purchasing and implementing a Laboratory Information Management System (LIMS), the cost of the license is just the start. It’s important to understand all the costs that follow – and to appreciate the advantages you gain in exchange. Before investing in a LIMS, the first step is to have a laboratory consultant come in and analyze your business processes. The way a laboratory has traditionally worked generally reflects the equipment and LIMS you already have in place. Replicating these limitations in a new LIMS will hinder the project from the start. If your company already uses a LIMS (or LIS), a newer system is likely to be more configurable than your current one. The more you take advantage of that flexibility, the more value you will get out of your investment. (Point of fact: companies and organizations typically move to a new LIMS platform specifically for the gains in flexibility). LIMS business consultants can see your processes in a fresh light. After determining what’s working well for you and what areas could be improved, the consultant will suggest concrete ways you can optimize each process, improving your efficiency, quality, and integrating smoothly with your new LIMS. While the obvious up-front costs of a LIMS include user licenses, the application server, database, and operating system, these can all be squandered if not matched with an investment in robust training required for the initial set-up. When implementing a new LIMS platform, the new team often faces a chicken-and-the-egg scenario: they’re expected to define the new LIMS, but often don’t know anything about it. Typically, any training is planned to occur after the new LIMS is designed and ready for go-live. But while useful, this does not help the team of SMEs handling the design/development phase of LIMS implementation. 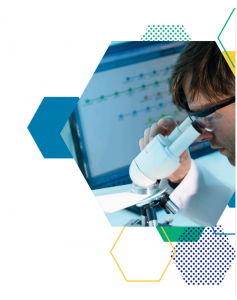 LabVantage’s solution is to offer Familiarization Training, which brings the customer project team up to speed on the out-of-the-box (OOB) LabVantage software – including the nomenclature (Is a sample always a sample? What’s your definition of a sample? ), infrastructure, and more. Thanks to this training, SMEs don’t waste time reinventing the wheel. By discovering the LIMS OOB solutions already in place, you decrease the cost of rewriting the LIMS in your own image (which can be a costly long-term decision!). By nature, labs are brimming with various unrelated instruments and systems – each of which is governed by its own procedures – that generate a constant stream of data. Added to this challenge is the fact that labs in a manufacturing environment have usually operated independently from the rest of their organization. As LIMS becomes increasingly appreciated for their ability to supply critical information, the need to integrate lab data into the overall business process grows. · increase your competitiveness overall. Once the system is configured, your entire staff will need to be trained on how to use it. Training should be given to not only your day-to-day analysts, but also your system administrators and report developers. Upon configuration, every LIMS system becomes different. This means that the way your analysts, scientists and other users click through your workflows will be unique, and often will require additional documentation beyond the standard SOPs. A custom user guide ensures that each member of your organization gets the most out of the LIMS and adheres to the proper workflows – regardless of their role. Despite the multiple costs involved in a LIMS system, optimizing your business processes is an investment that starts paying you back immediately and grows steadily over time. Working with the right LIMS provides you with the accelerators and solutions you need to get ahead in your industry.